Lyn Swinburne, founder and CEO of the Breast Cancer Network Australia, is featured in Changemakers, a regular column which examines inspiring people and their careers in the Not for Profit sector. Lyn Swinburne, founder of the Breast Cancer Network Australia, is featured in Changemakers, a regular column which examines inspiring people and their careers in the Not for Profit sector. In 1993 I was diagnosed with breast cancer and was horrified at the medical system which focused on the tumour and paid very little attention to the woman. I wanted to put the woman onto centre stage and to positively influence the medical and scientific worlds. 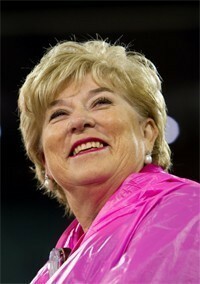 In 1998, I formally founded Breast Cancer Network Australia (BCNA) and have been its CEO since that time. My guiding quote through all these years has been one from Margaret Meade: Never doubt that a small group of informed, committed citizens can change the world; it’s the only thing that ever has. I am soon to retire from my role with BCNA. I have a lot of energy and so my biggest challenge is deciding where best to invest my time and efforts in this next stage of my life. To plan, communicate, innovate, invigorate and evaluate. Before BCNA, I was a school teacher! The women in our network. Many face enormous physical and emotional challenges every single day and yet they reach out to help others and work to get a better deal for the women who will follow us.